Proudly serving Greater Fort Lauderdale including the Western Communities of Plantation, Weston, Davie, Cooper City, Coral Springs, Parkland, Pembroke Pines, Sunrise,and Tamarac; the coastal areas including Victoria Park, Wilton Manors, Lauderdale-by-the Sea, Bayview, Coral Ridge, Las Olas, Rio Vista, 17th Street Causeway and always with one-on-one personalized service. 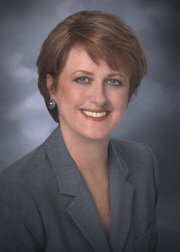 When you choose Bonnie Brydger as your Realtor, you can expect unsurpassed service. You'll receive one-on-one personalized attention and fast results. Ask to speak to any of her satisfied past customers and they will tell you . . . With Bonnie Brydger You are always #1! Call Bonnie Brydger today for all your real estate needs. Your "Brydge" To A SOLD Sign!